Today, we have found some interesting deals on Amazon on gadgets like gaming laptops, wireless earphones, BT speakers and more. The products we have added in the list below are from brands like Acer, Tagg, JBL and more. We are back with our daily deals roundup. 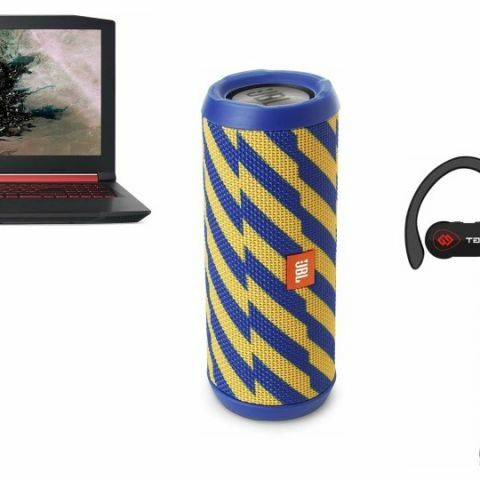 Today, Amazon is offering some pretty neat deals on gadgets like gaming laptops, wireless earphones, Bluetooth speakers and more. The Acer Nitro Spin NP515-51 sports a 15.6-inch full HD display with a resolution of 1920 x 1080 pixels. The machine is powered by an Intel Core i7 processor, which is clocked at 1.80GHz. The device packs 8GB DDR4 RAM and a 1TB hard drive. When it comes to the graphics card, it is equipped with a 4GB Nvidia GeForce GTX 1050Ti card. Click here to buy. The Acer Nitro AN515-52 is backed by an Intel Core i5 processor, which is clocked at 2.30GHz. The device comes with 8GB DDR4 RAM + 16GB Optane memory with a 1TB hard drive. The laptop has a 4GB DDR5 Nvidia GeForce GTX 1050Ti graphics card. Click here to buy. The TAGG Inferno 2.0 is a wireless Bluetooth 4.1 enabled in-ear headphone. The device features an IPX7 rating, which means you can listen to your favorite tracks even during your workout without worrying about the earphones getting damaged due to sweat. The earphone sports a 120mAh battery, which as per the company can provide up to seven hours of listening in a single charge. Click here to buy. The JBL Flip 3 is a wireless music streaming device, which can be connected to up to three devices at once. As per the company, it can provide up to ten hours of music streaming on a single charge. Click here to buy. The Dragon War Emera ELE-G11 Gaming Mouse comes with six control buttons and a gold-plated USB connector. The mouse is compatible with Windows XP and above. Users can also customize the button alignment, performance, and speed as per their needs. Click here to buy.